Have you heard about the "Bionic Boy Wonder?" (SPOT.ph) Sure, we all know about Spiderman and our very own Captain Barbell, but do you know that there were people in local history who were said to have had incredible powers? While many of them lived generations ago, their stories are still as fascinating. 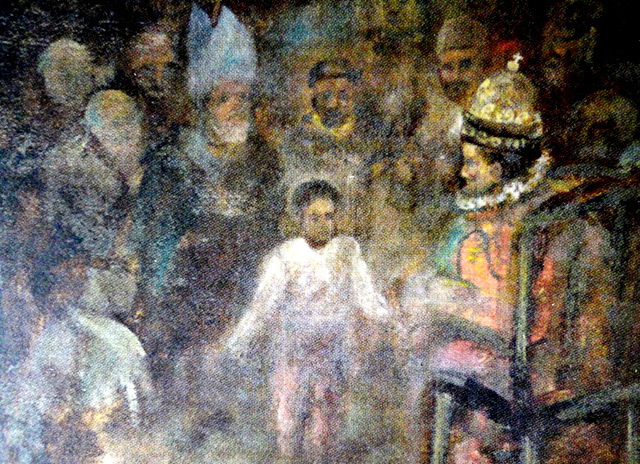 In 1587, a frail, 10-year-old boy named Martin Sancho was sent to Spain to have an audience with King Philip II, who was the world’s most powerful monarch at the time. It was the intent of Spanish officials to present the boy to the royal court as proof that the new colony—which the king wanted to quit—was worth keeping and that the natives could be educated like Europeans. Sancho did not disappoint. He not only conversed with the King in Spanish, but breathlessly recited prayers, articles of faith, church rules, doctrines, and the entire Catholic catechism in perfect Spanish. The King then pried him with more test questions that the boy confidently answered before a stunned court, who gave him a thundering applause as he was ushered out. After his successful appearance, the savant stayed in Spain as a ward of Fr. Alonso Sanchez. At 17, he was taken to Rome to join the Jesuit novitiate, then returned to finish college in Murcia. In 1601, Sancho, his body racked with tuberculosis, finally went home to the Philippines to reunite with his Kapampangan parents whom he had left when he was only 10. Sancho died one month later at age 25. 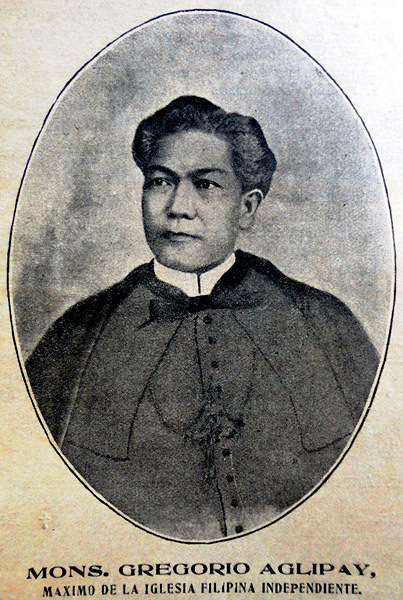 Gregorio Aglipay (May 5, 1860 to September 1, 1940), the first head of the Iglesia Filipina Independiente, was a former Catholic priest who joined the revolution of 1898. Gen. Aguinaldo appointed Aglipay Military Vicar General of the revolutionaries. Aglipay was said to have possessed the power of the "tagabulag" or the ability to render one's self invisible. This magic was made possible through a charm, an herb called "tagarlum." Aglipay admitted that he owned such a talisman, with a dozen witnesses claiming to have seen its magic. The witnesses recounted an incident when Aglipay, astride his white Arab steed out, vanished from the camp—only to materialize at a critical battle point, some half a mile away. He had also reportedly used the charm to elude American soldiers who sought his capture, by mingling with them at village cockfights, only to disappear in a flash when recognized. A revered mystical founder named Agapito Illustrisimo of a Banahaw religious group was born in the Lumutan mountains of Bantayan island. He was a captain of a Pulajan religious outlaw group in the early 1900s. Left for dead after a major skirmish, he survived to become a farmer. In 1935, while settled in Kinabuhayan in Banahaw, Illustrisimo began hearing a voice which commanded him to stand between two boulders in a stream. As he did so, the boulders came together and entrapped him. Illustrisimo freed himself by stomping his foot on the ground, leaving his footprint, and causing a spring to gush out. The same voice ordered him to put up the Samahan ng Tatlong Persona Solo Dios in 1936. He went on a recruiting tour, holding prayer healing sessions all around Luzon, until he attracted the attention of President Manuel L. Quezon, who was thought to be dying at that time. Summoned to Malacañang, he and his ayudante, Benito Octoman, restored the president’s health. In gratitude, Quezon took Illustrisimo under his personal protection and gave him permission to hold his religious services anywhere in the country. Illustrisimo was arrested by guerrillas due to his association with pro-Japanese officials and was never seen again. 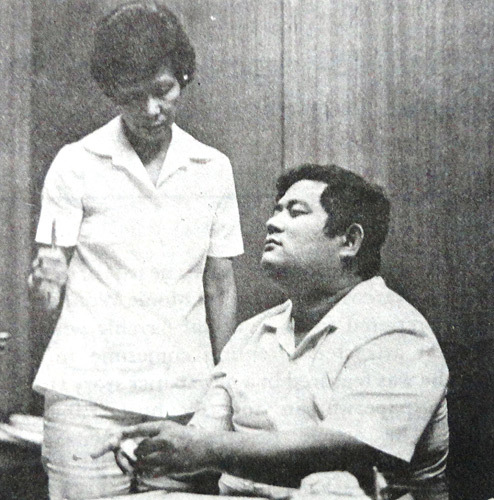 His son, Jose Illustre, took over the “samahan” which continues to flourish today. 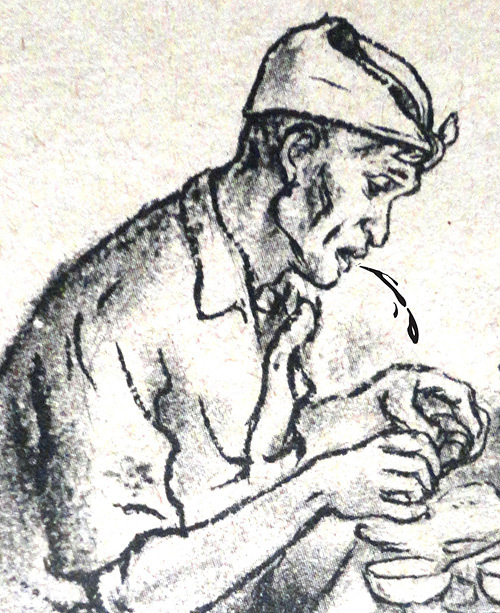 In the first decade of the 20th Century, an unusual ‘medico’ emerged from Parañaque, by the name of Lorenzo “Enchong Laway,” who healed by touching his patients with his saliva. The use of saliva in healing goes back to Biblical accounts in which Jesus restored a blind man’s vision by spitting on his eyes and putting his hands on him. Enchong supposedly gained his healing powers when, while in the San Mateo mountains, he rested under a tree and fell asleep. A ghostly being with a flowing beard appeared to him in a dream, anointing him as a chief doctor of the country. Upon returning to Parañaque, he told his townmates of his dream and began healing by rubbing his saliva on the sick. People began seeking him in droves, believing his procedure was infallible. But his method also worried the Department of Health, as he was using his own spit at a time when tuberculosis—transmittable through infected saliva—was a major cause of death among Filipinos. Enchong, who had become a national celebrity, was declared to be insane and committed to an asylum in 1925. In 1915, a movie called Enchong, Ang Medicong Laway came out, a slapstick comedy on the superstitious beliefs of rural people who trusted quack doctors more than men of science. Apo Iro, also known as “manggagamot ng walang gamot,” was just 12 years old when he formed his healing ministry. Pedro Danganan (February 15, 1907 to September 15, 1957), gained his powers when, after a pilgrimage to Antipolo, the child was found clinging to the image of the Virgen de la Paz y Buenviaje. The experience transformed the playful kid into an introspective child who talked about visions of an old, long-bearded man. His healing powers then became evident. His first patient was his mother, whom he cured of paralysis. Now known as “Apo Iro,” he embarked on a healing mission, curing people by the thousands in the 1920s to 1930s, even restoring the eyesight of a cynical “medico cirujano.” Apo Iro also developed other supernatural powers—he could predict the coming of rain, animate religious images, and make himself invisible. At his peak, his pictures were sold as ‘estampitas,’ and a book (Buhay at Kasaysayan ni Apo Iro at ng Kanyang Mga Milagro) was written about him. Rabid followers collected his bath water, which they believed had curative powers. In gratitude, a cured Chinese millionaire patient built him a house. His death was covered by newspapers and his funeral procession, stretched for miles and was attended by thousands from all walks of life—all bound by a common extraordinary experience, of having once been healed by Pampanga’s miracle man. Incorruptibility, in Christian belief, is a sign of holiness reserved for saints whose bodies do not decompose after death. 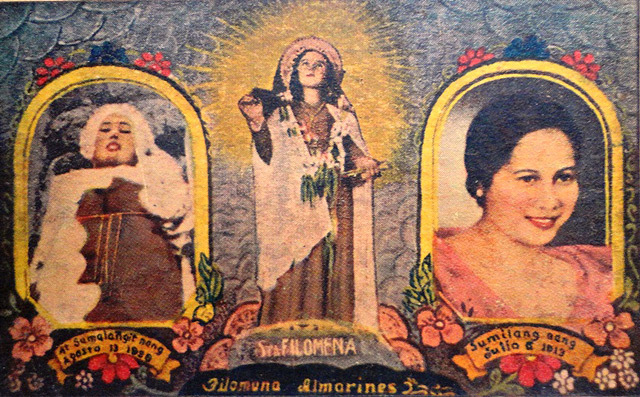 When the body of Filomena Almarinez (July 6, 1913 to August 13, 1938), was found intact after nine years in her tomb, she was hailed as a holy woman, worthy of veneration. Almarinez, known for her quiet, introspective ways, came from a farming family. Some say that at age 25 she died of emotional stress. 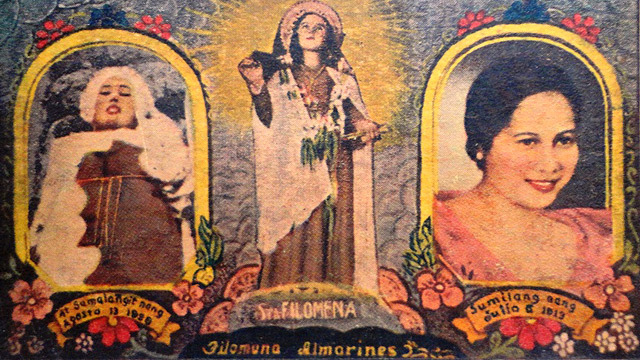 When her own father died in 1947, Almarinez's tomb was opened so it could also contain her father’s remains. To everyone’s surprise, workers found her body still in a complete dress, with a face as fresh as the day she was interred. Immediately, people declared her a saint and devotees trooped to her tomb where miracles were allegedly wrought (e.g. candles melted on her tomb to form the face of Jesus). A local cult quickly developed and persisted till the early '50s. Filomena, “ang marilag na paraluman at milagrosang santa” continues to rest at the Biñan cemetery, now renamed Sta. Filomena Cemetery. In the Visayas, one can still find a few old women who were once isolated from the community by being kept in their homes, exempted from work, pampered and exalted by their society. Treated and treasured like princesses, these women are remnants of a pre-colonial practice called “binukot,” which aimed to make a woman more attractive to highborn suitors. Kept away from men’s eyes, she could only step out of the house borne in a duyan or bamboo cradle. A binukotan was also given the responsibility of preserving oral lore, by being trained to memorize ancient songs and epic epics by chanting them. 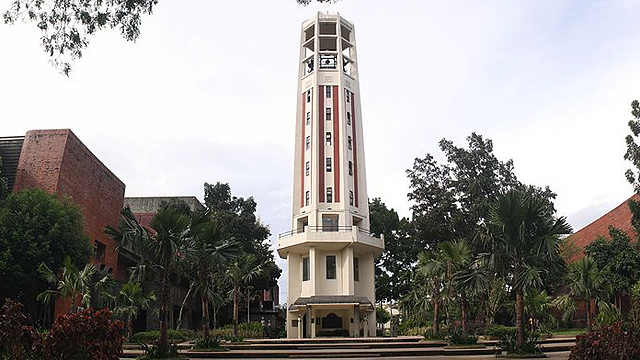 It was in this way that the kilometric-long "Hinilawod" was discovered in 1955, by noted anthropologist F. Landa Jocano, in his research trips to the upland barrios of Iloilo. An old man, Ulan Udig, sang a portion, that was eventually completed by a binukot named Hugan-an. She recited the 29,000-verse epic poem from memory, recounting the adventures of the Panay heroes for 30 hours over a period of three weeks. Since then, more binukots have been discovered. The most proficient, found by professor Alicia P. Magos, was Anggoran (Susa Caballero), who knew nine epics by heart. Others include the late Lola Elena Gardoce, Ariring (Conchita Gilbaliga) who both could recite the long tales and tribal histories of Suguidanon. Today, these modern Mnemosynes are a vanishing breed; only seven are known to be still alive in Panay as of 2004. Ronald Joaquin, the country’s most popular psychic whiz kid of the '70s, had the uncanny ability to connect a caller to anywhere in the world through the use of a toy plastic phone. He could read written questions without looking at the paper on which they were written and could write his answers without the pen touching the paper. 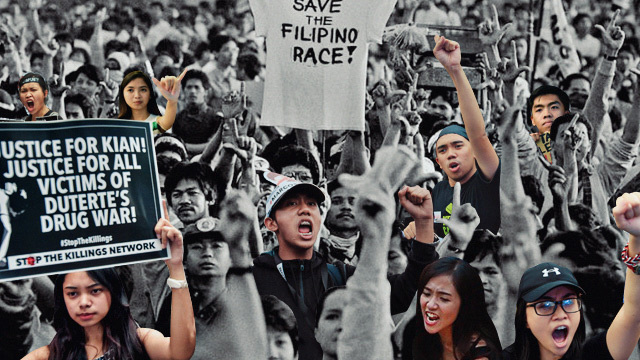 Ronnie could also change the value of peso bills and materialize objects—including food. He began manifesting his powers following his troubles in the seminary where he was evicted for stealing. Media people discovered him and Ronnie became a TV celebrity where he demonstrated his psychic gifts. In 1977, it was rumored that President Ferdinand Marcos adopted him as his son, after Ronnie impressed him by stopping all communications to and from Malacañang for five minutes. His case was investigated by the psychic detective, Jaime Licauco, who concluded that his powers, which come from the “upper realms,” were genuine, though the child-like wonder boy found them difficult to control. Widow and mother Emma de Guzman (December 8, 1949) was working in Singapore in 1984 when she had her first strange experience. A whirlwind swept past her church, carrying a piece of paper that landed on her foot, directing her to a job in Canada. She later became a nanny in Ontario. In 1991, a friend, Sol Gaviola, took her to the Fatima Shrine in New York, and that was when she allegedly saw the Virgin Mary who taught her to pray the Holy Rosary. Since then, the Virgin has supposedly appeared to her regularly, every September 8 and December 8. During these alleged visions, she goes into a trance and her face gets mysteriously frosted with golden dust. 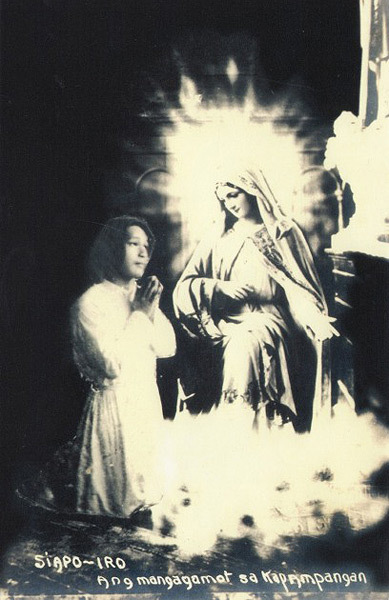 De Guzman has also claimed to have seen Jesus Christ, angels, female saints, and souls seeking penance. In 2006, people witnessed her write a foreign language in a perfectly straight line on a paper, later examined to be ancient Koine Greek. She has also exhibited partial stigmata on her forehead, palms, back and feet, all captured on video. De Guzman founded a lay Catholic group called La Pieta, dedicated to a Marian devotion under the title Mother of Love, Peace, and Joy. In early 2011, the incredible story of a three-year-old firestarter was reported by news correspondents from GMA Iloilo. 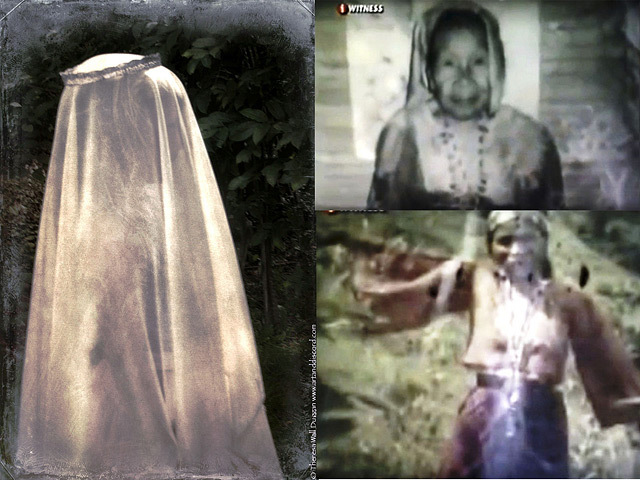 Emma “Em-Em” Tablate of San Juan de Bunavista, Antique was reported to have produced a series of fires just by saying “sunog.” Witnesses, including her own parents Karen and Benedicto, testified that fires regularly happened inexplicably in their own home—burning pillows, mats, dresses, as well as the child’s underwear. When a policeman gave the girl a piece of biscuit, it caught on fire. Town mayor Rony Molina and paranormal experts were also convinced that Em-em had pyrokinetic abilities. The child insisted, however, that evil black dwarves that lived behind their house were causing the fires. This prompted Rose’s parents to have their daughter baptized. However, the rites were disrupted when a piece of paper tacked on the church’s bulletin board burst into flames.